Glorious Ashes of Creation community! The much awaited forums will finally be returning Thursday, April 11, 2019 at 11:00 a.m. Pacific. We wanted to provide details on what went into the work behind the forums, and answer all of your frequently asked questions regarding the new forums, so you know what to expect. In switching off of our old website, we had to build a unified login system that could work with the game, the website, and was scalable for the other services we will provide in the future. In addition to this, we needed to let users bring their accounts over that were created on the old WordPress system. For some users this was seamless, but other users were required to change their usernames, passwords, or other information in the process of bringing their account to the new accounts system. Unfortunately, our forums were previously tied only to our WordPress installation. This is why we weren't able to simply move them over with the users. The WordPress login solution for the forums was geared only towards WordPress, and didn't consider the future goals of the company, and a unified account structure. The first part of this year has been spent ironing out the stability of this new account system as our top priority, and tying up the loose ends with the account migration issues we experienced. This included a huge push to move all our infrastructure over to AWS. An equally important priority has been to develop a unified login flow that would let users use their new Intrepid Studios accounts to login to third party services (like the forums). To accomplish this unified login, we had to build an SSO (single sign on) solution that could work across multiple services, not just the forums, while also fixing bugs we found in the general account creation and migration flow. This, paired with our optimization of the entire accounts system, has been the cause of the delays in getting the forums back up. With the introduction of new members to the Web Team, the priority of our account services stability, and the AWS migration efforts, we had to put the forums on the back-burner for January and February. However, we are happy to announce that the forums will be up, and we are looking forward to seeing you all there again! We appreciate your patience with our development schedule, and cannot wait to enjoy the Ashes of Creation world with you all. Editing your forum display name from your Preferences has been temporarily disabled as we work to fix an issue where name changes were not persisting. This feature will be reactivated once the issue is resolved. When will the new forums be back up? The new forums will be back up on Thursday, April 11, 2019 at 11:00 a.m. Pacific. Where can I access the new forums? 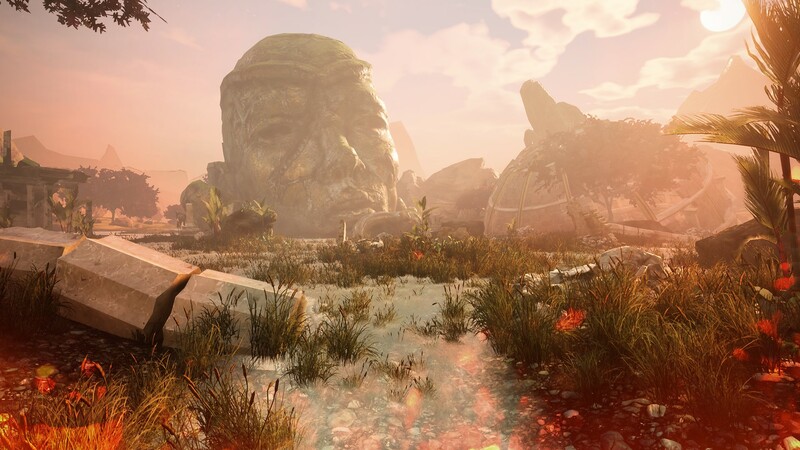 When the new forums launch on Thursday, April 11, 2019 at 11:00 a.m. Pacific, you will be able to access them at https://forums.ashesofcreation.com/. How will I log into the new forums? With our new SSO solution, you will log into the new forums using your Intrepid account (the one you usually use to log into the Ashes of Creation website and launcher). Do I get to keep my previous forum display name? No. All forum names will be wiped, and you’ll have to reclaim your forum display name. Can I change my forum display name? Yes. You will be able to change your forum display name by selecting the “Edit Profile” option from the settings menu on the new forums. Will all of my post history be saved from the old forums? The old forums will be archived, and you will be able to access all the forum posts in a read-only mode. While your old posts will still be visible in the archive, they will not be tied to your new forum profile. Can I access my old forum private messages? No. Old private messages will not be accessible. Will I keep my old forum post stats and badges? No. All forum post stats and badges will reset. Will forum badges be available for Summer and Kickstarter backers? Yes, the Summer and Kickstarter backer forum badges will be available on the new forums. These badges will be automatically applied to your forum account when you first log in with your Intrepid credentials. Will the Content Creator forum badge be available? Yes, the Content Creator forum badge will be available on the new forums at a future date. This will coincide with our revamp of the new Content Creator Program. Can I upload a custom forum signature? Yes! You can have up to 150 characters in your signature, and you are able to upload 1 image (it will be scaled to a maximum height of 150px). I'm a Royalty Kickstarter backer. Why can't I see the Phoenix Iniative section of the forums? If you're a Royalty Kickstarter backer or an above tier and you cannot see the Phoenix Iniative section, please submit a Customer Support Ticket. You must sign an NDA to see this section of the forums. When logging into the forums, I get the message, "Email address should be confirmed," or "Email address empty." What does this mean? We can’t wait for your feedback, and discussions on the new forums! If you have any further questions for us, don’t hesitate to send us a message on Twitter, Facebook, or Discord! © 2018 Intrepid Studios, Inc. All rights reserved.